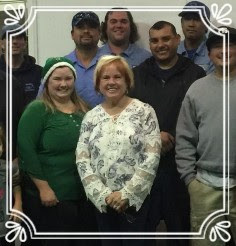 It may seem strange to think of local pest control in association with Mother’s Day, but our family-owned business knows that one thing mom really wants is peace of mind with a pest-free home. Give mom a gift she’ll appreciate all year with home pest control services from Brezden Pest Control. We have provided home and commercial pest control services in San Luis Obispo since 1980, and know how to keep mom happy by getting rid of those annoying and dangerous pests. Of course, mom works hard to keep your home safe and clean, but unwanted pests can cause unnecessary stress and worry. Sometimes they can be downright dangerous to those she works hardest to protect. Did you know, for example, that rodents have been known to bite children and adults while sleeping? They can smell milk or vomit, and will bite thinking it is food, which can cause serious injuries to a loved one’s face and body. There are many health risks to letting rats, cockroaches or termites scurry around inside the walls of a home. They spread disease and pollute the air – YIKES – now that’s something mom really wants to avoid! Keeping a pest infestation from happening in the first place is always best, but if one happens it won’t go away simply by ignoring it. It is best to call our home pest controlprofessionals BEFORE a problem arises, but we also act quickly if any of those pesky ants, rodents, birds or termites get out of control. We provide same day service Monday through Friday and emergency services on weekends and holidays. All work is guaranteed in writing, so mom won’t have to worry about anything. Our friendly and knowledgeable pest control specialists provide outstanding customer service while keeping your home or business free of unwanted pests. Best of all, mom will love knowing that Brezden has been accredited by QualityPro, which means they found our business practices to be ethical and reliable. With the QualityPro accreditation, mom gets peace of mind knowing that we will keep her family safe and that we will do it completely ethically. Happy Mother’s Day to all the hard working Moms out there, and that includes my wonderful wife Maria who works tirelessly to keep our office going strong here at Brezden Pest. Maria is like a 2nd Mom to our entire staff. For all that you do and for all that you are to us, we say thank you. About Brezden Pest Control: Brezden Pest Control provides professional ant control, bird control, rodent control, pest inspection, dead animal removal, and termite treatment services to homes and offices in San Luis Obispo, Paso Robles, Shandon, Cayucos, Morro Bay, Templeton, Atascadero, Santa Margarita, Avila Beach, Pismo Beach, Cambria, San Miguel, San Ardo, Los Alamos, Santa Ynez, Solvang, and Los Olivos. 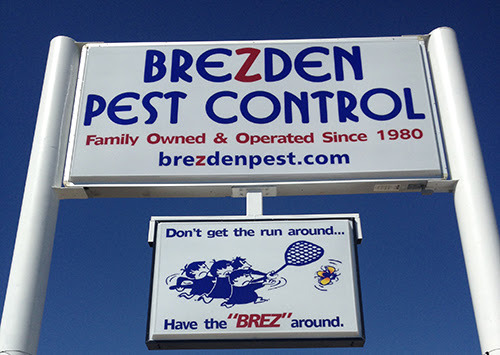 Visit the website at https://www.brezdenpest.com to download a complimentary copy of the “Top 10 Reasons Customers Choose Brezden Pest Control.” “Like” the Facebook page to receive tips and insider info on local pest control. Call 800-464-9446 today for a FREE pest control estimate.